Some very nice dinosaur material is being offered for sale but their identifications need some massaging. 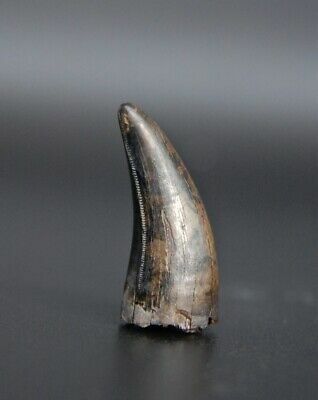 This beautiful tooth is being identified as Gorgosaurus from the Judith River Fm. Its a "Tryannosaurid indet. " since we cannot distinguish teeth between Gorgo and Daspletosaurus.. Looks like an anterior dentary position. This gorgeous rooted hadrosaur tooth is being identified has Lambeosaurus also from the JRF. Most seasoned collectors know its very difficult to distinguish teeth between different hadrosaur species. Quite a few are described from the JRF not sure if Lambeo is one. Best identified : Hadrosaurid indet. 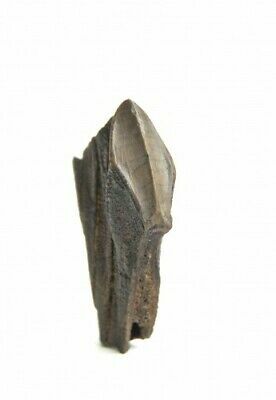 A Majungatholus tooth from Madagascar is also offered. Unfortunately the tooth is clearly not an Abelsaurid so it cannot be Majungatholus or properly called Majungasaurus. What is it I really do not know since very little is described from the Maevarano Formation.  It also brings to question if the locality is correct. 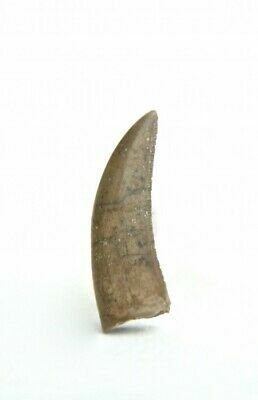 "This tooth was already posted on the forum"
From the Judith River Formation the seller is offering this Troodon foot Claw. 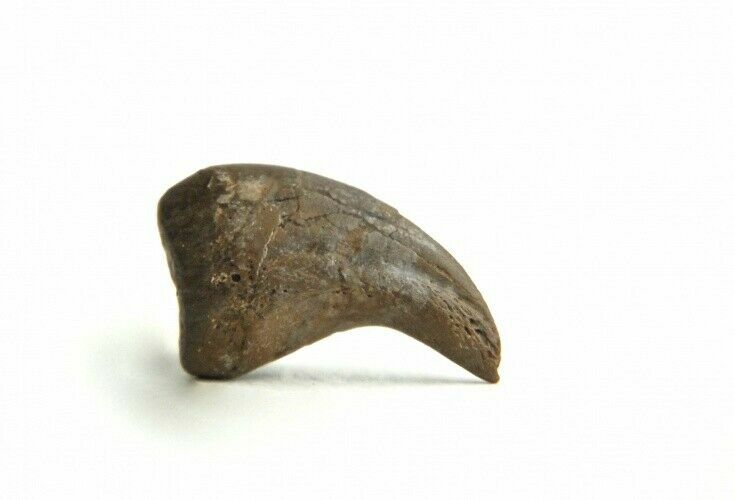 Only two photos were included in the listing so it was difficult to tell but initally it does not look like one more like an Oviraptorid claw. If you are interested I would ask for more photos so we can have a better look. From the Cloverly this bone is being offered as a humerus from a Tenontosaurus. 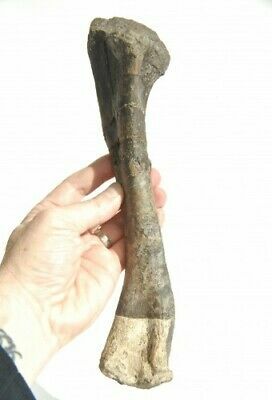 I do not believe its one and have included the arm of a Tenontosaurus from my collection to see what one looks like. Its the bone on the left. Could be an ulna but not sure. I would lean towards the ulna of Tenontosaurus, too.